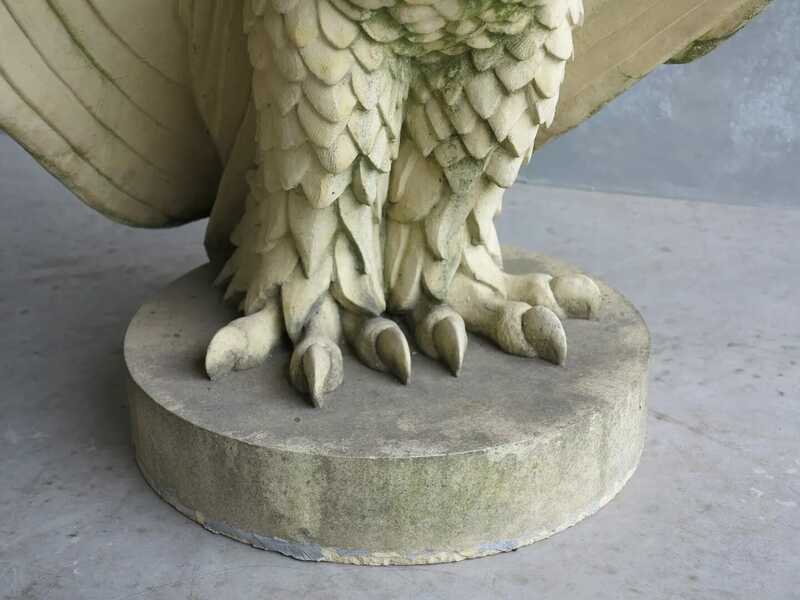 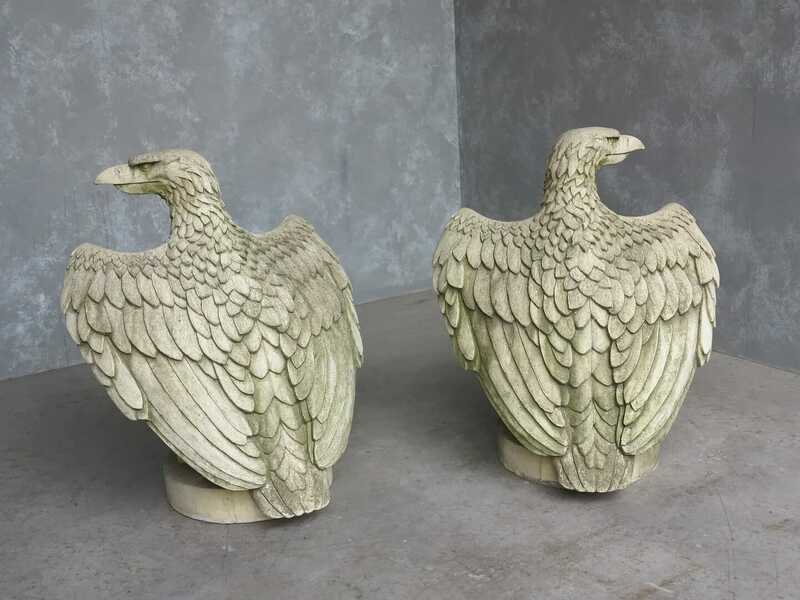 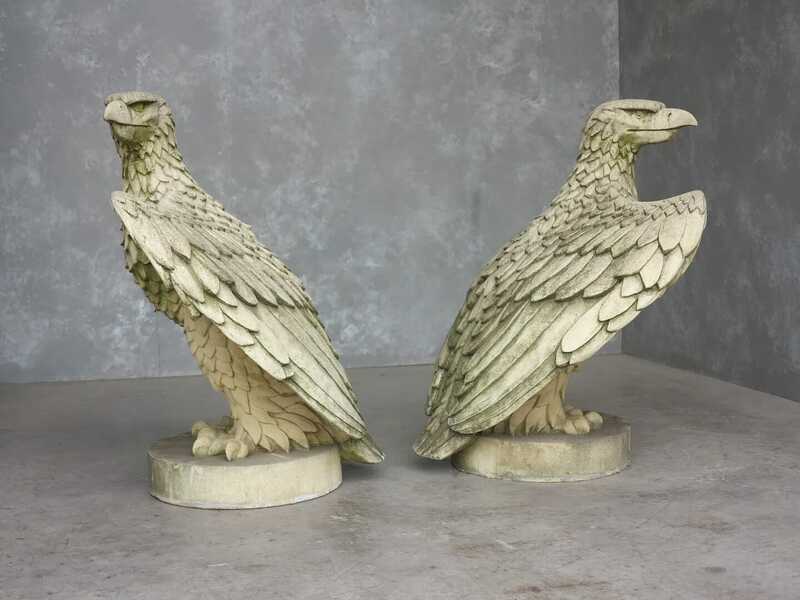 An excellent example of a large reconstituted stone eagles with fabulous detailing of the feathering, beak and clawed feet. 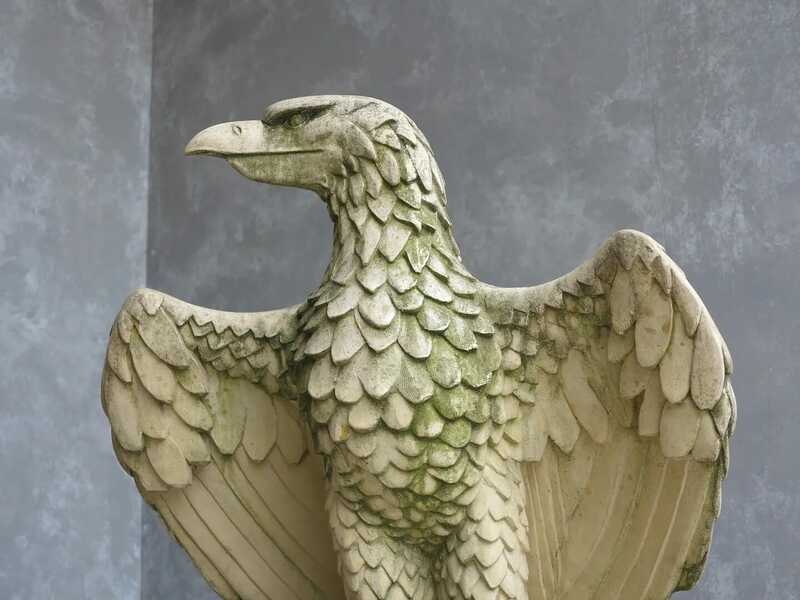 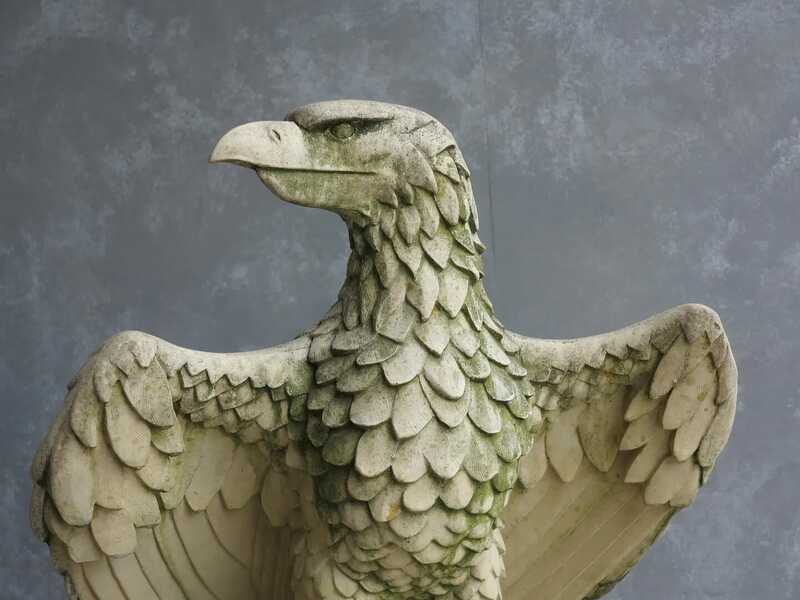 This reconstituted buff coloured stone eagles has lovely weathering and patina as shown in the photographs. 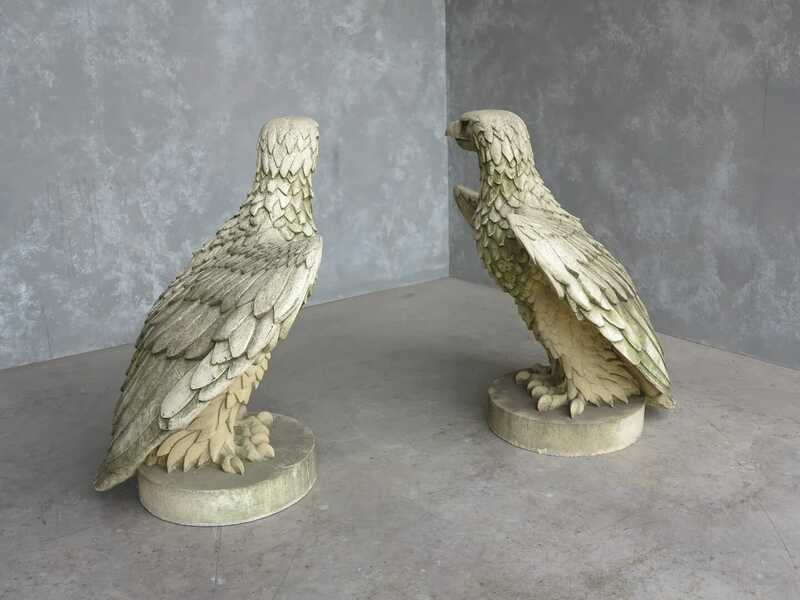 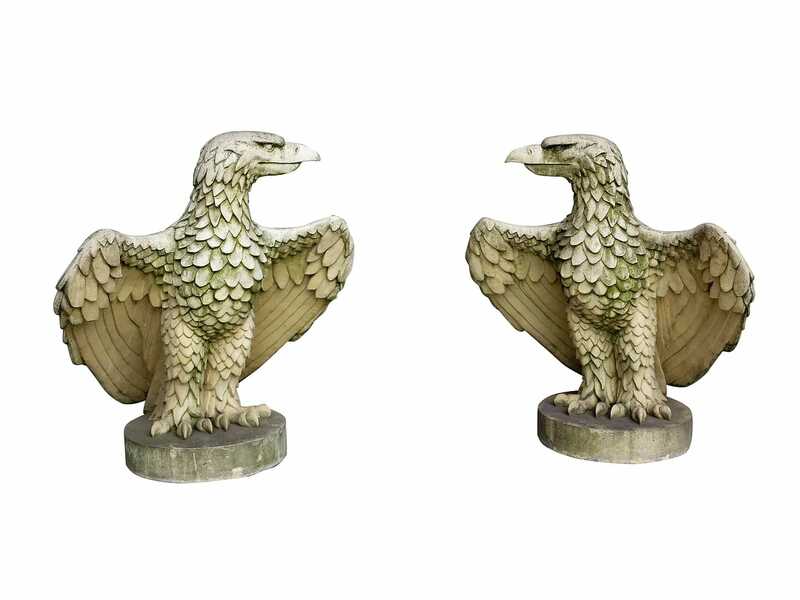 A fabulous garden antiques suitable as a decorative items or as a gate pier cappings. 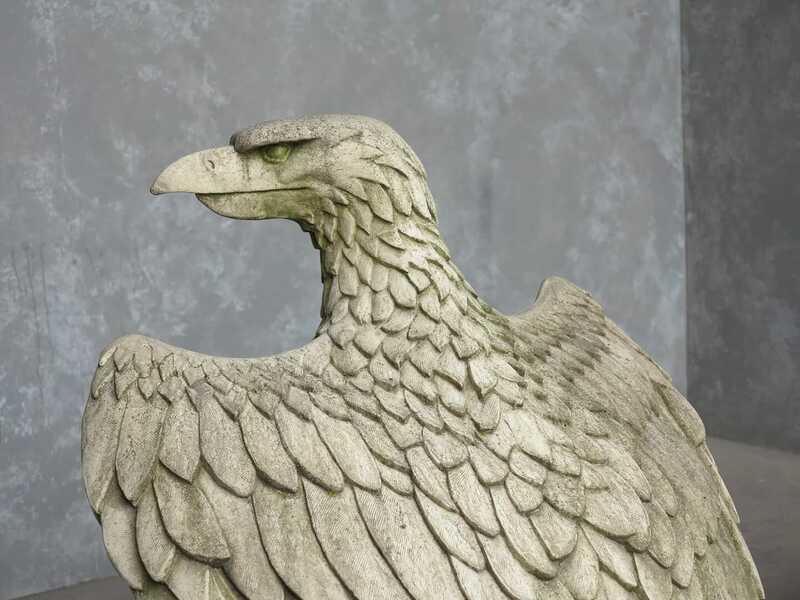 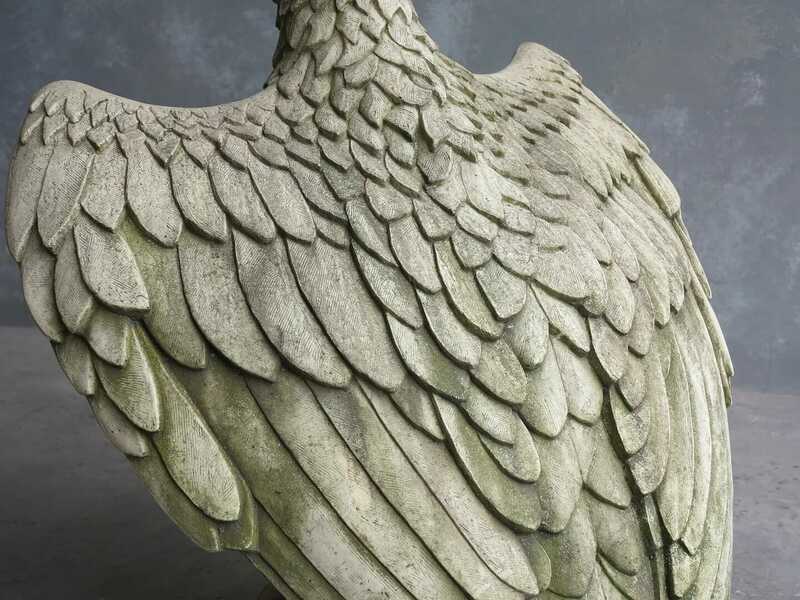 Overall Height is 32 ½" Tall x 30" Wing Span and the base is 16" Round. 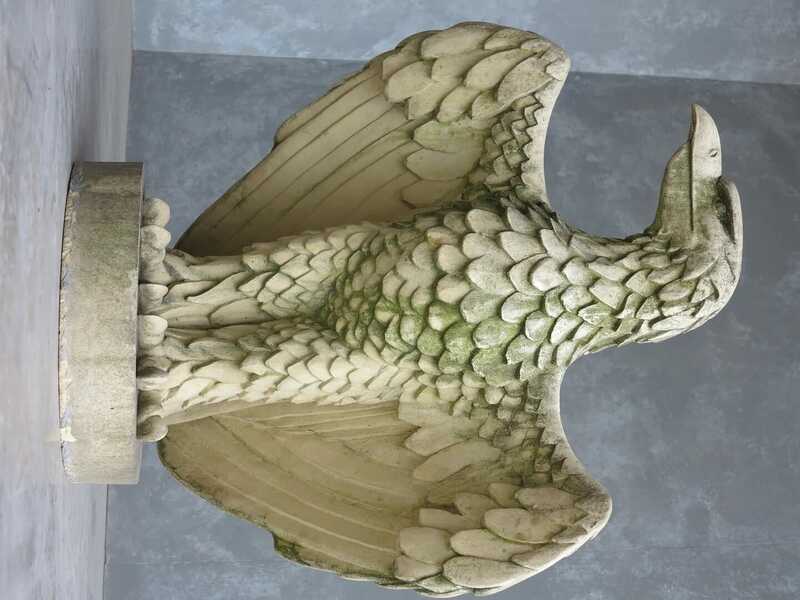 Note: These should be secured in place with lime mortar.